For years I’ve tried to go without a belt. If you just get pants that fit, it’s easier, faster, and if you’re wearing untucked shirts anyway, then nobody cares. On the downside, it’ll pop buttons right off, or damage the pant fabric from stretching it too far. And belts are easy enough anyway, so why not? Well, because backpacks have hip belts of their own, and doubling up those layers can become downright painful (creating a pressure point right at the hip bone), especially with a heavy pack cinched down as tightly as it’ll go, to get the weight off the shoulders. 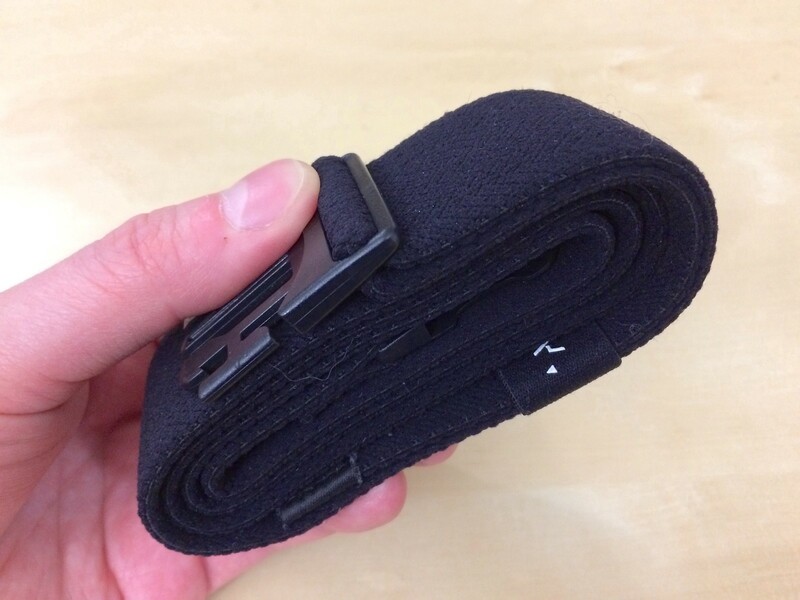 So…wouldn’t it be great if someone made a super-thin belt, preferably with some kind of durable nylon, that would never wear out, won’t get damaged if it gets wet, and fits beneath a backpack hip belt just fine? Yes, it totally would. 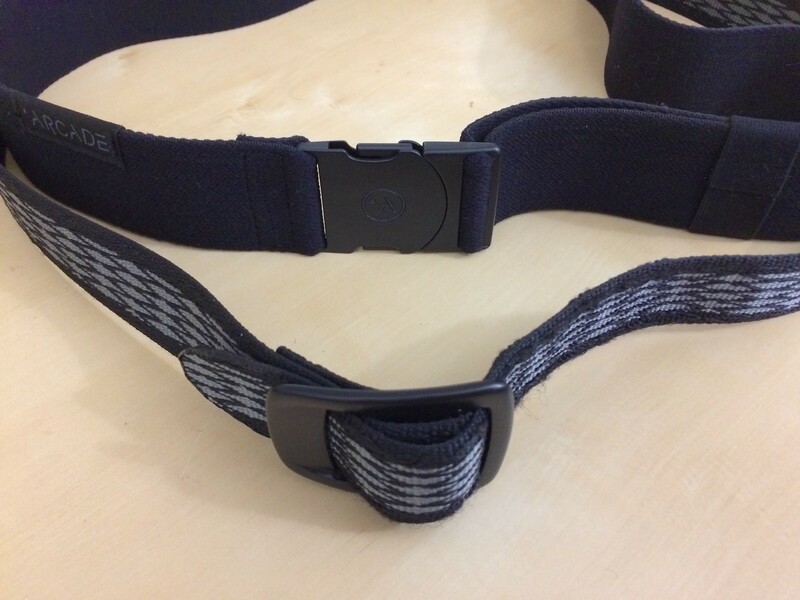 Which is why I’ve been on the lookout for these sorts of things since forever, and a recent newcomer known as Arcade Belts has come up with an alternative: a quick-release elastic belt, for adventures far and wide. My cousin actually picked this up and gave it to me, and it’s working even better than I was anticipating. Here’s why. The belt itself is made of elastic, and feels a bit like a super-soft, thickened underwear waistband, at about 3mm thick. 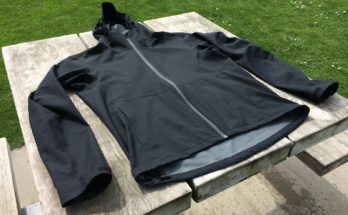 It comes in both 1.5″ and 1.25″ widths (and fits up to a 40″ waist), and comes in all sorts of colors, for adults and kids. The quickness of a quick-release makes it easier to operate, and the plastic means you can go through a metal detector without a problem. It also has no extraneous dangling end, like with a regular belt. 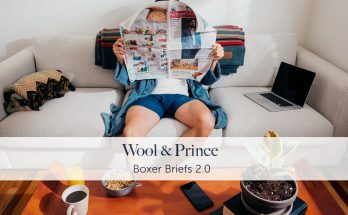 You won’t earn any style points here (although some of the color combinations can at least look fun, if not formal), but it’s convenient, functional, and affordable, at $28. It’s even machine washable. You can throw it into a laundry machine without even removing it from the pants. I will take a moment to complain about the fact that it has not one, not two, but three visible logos in front, and there’s even a fourth one in back. Do I really need this many? No, of course not! Luckily one of them is sewn, and the other is on the elastic band holding the loose end in place, and it can be reversed. The logo on the buckle itself is pleasant enough, but I’d axe the rest. It almost looks too stretchy, doesn’t it? Would you really want it to be so stretchy that your pants feel like they’re falling off? Well, I’m happy to say this didn’t happen, as I never felt the need to hoist my pants back up to my waist, which is something that does happen if I’m going beltless. The only difference is how it’ll expand when you sit down, or lean over, which is great for long flights, or athletic activities. When using a regular belt made of thick leather, the backpack hip belt can create a pressure point right at the hip bone, rather than distributing the pressure over a wide area, the way it’s supposed to. Go ahead and press whatever belt you’re wearing right into your hip bone, and you’ll see what I’m talking about. Now imagine doing that all day. For whatever reason, the vast majority of nylon webbing belts work this way; the webbing passes straight through the buckle on both sides, rather than reversing and tightening the way it does on the Arcade belt (like on a backpack shoulder strap buckle). This not only means the buckle protrusion is huge, but it’s also more difficult to adjust or remove. Having the quick-clip attachment of the Arcade makes it much flatter and easier, which is why it kind of drives me crazy that nobody has figured this out before. This makes it more difficult to adjust, but once you’ve done this, you won’t have to do it again. You could reverse it, though. I will say that it’s not so easy to adjust; I think they wanted to make it secure enough that it wouldn’t loosen itself up, which is nice, but the initial adjustment is going to be a little tricky, especially with the belt so tightly fitted through the buckle. You’ll probably be wearing it all the time anyway, but if your trip calls for crazy mountaineering ridiculousness and a fancy business meeting the next day, taking two belts and switching between them won’t be too bad. So, that all sounds good, doesn’t it? Well, not so fast. Well, yes. The “male” end of the buckle is the same width as the “female” end of the buckle, meaning you have to feed them into each other precisely, with no room for error. If you’re off even slightly, it won’t work. Other buckles, with more of an arrowhead shape on the male side, can “miss” the target by a wide margin and still go in properly, which is much better, but with this one, you have to get it exactly right every time. By keeping your thumb and forefinger at the edges of the buckle, instead of along the flat parts, you can feel the shape of the opposite buckle, and slide everything in nicely. It’s not exactly intuitive, but it works, and you’ll be able to clip it together in the dark, or without looking. They could, however, just improve the design. It’s just a giant plate in front, which makes it a bit more subtle. It’s still plastic, but I think it looks nice enough for a casual, outdoorsy kind of thing, with all the functionality hidden in back. And look…just look…at how beautifully aerodynamic it is! Whether you’re in some outhouse without a flashlight, or just absurdly intoxicated, this is a million times easier. I’d like to see them modify the original buckle to make the “male” end pointier, for those who need something super-thin, but in the meantime, this is only slightly thicker, and far more convenient. Forget the original. This is better. I like this a lot. And it wasn’t even the elastic that was the biggest factor for me, as non-stretchy belts usually work well enough anyway. It was the low-profile band and buckle, which allow it to slip beneath a backpack hip belt without creating the hip-bone pressure point that a hefty leather belt does. It does the job without a problem, and that’s what I needed. The fact that it’s stretchy without being too stretchy was merely an extra (though certainly welcome) perk for me. As mentioned above, the buckle could be improved, by making it pointier on the “male” side, so that it feeds into the “female” side more easily. Luckily the upgraded buckle featuring that big oval-ish plate in front has this exact improvement, and that’s definitely the one I’d recommend over the original. Go straight here if you want that one, pictured in the photos above. They use that buckle with a few different models, though. Minor complaints were the number of logos in front, and the slight difficulty in getting the adjustment just right. 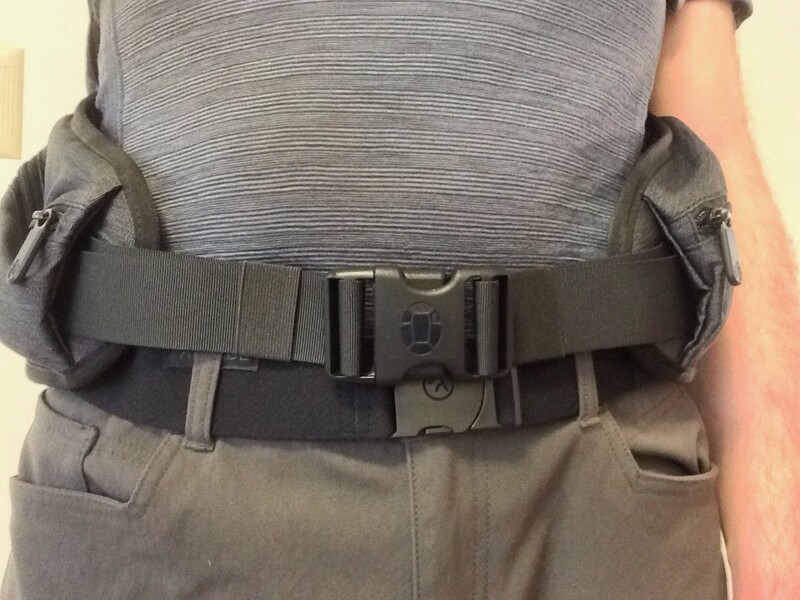 The 1.5″ version is also a little tricky to feed through smaller belt loops, as you have to feed the belt and buckle through them, which can be a little tricky with certain pants, such as the one pictured above. The 1.25″ model also uses the original buckle rather than the improved one, so I’d like to see newer models combine those two features at some point. You can check out the entire lineup at Arcade Belts, where they have quite a few variations and color combinations available. The ones pictured above are both in the “Adventure Belts” category, and the “Futureweave” is functionally quite similar as well. I’m excited to see you reviewing a travel belt, since your advice has been so helpful for my family in our adventures. One of my biggest concerns with the stretchy waistband is how it holds up when something is clipped onto it. For example, 2way radio pouch, cell phone holster, or belt-loop-inside-the-pants travel wallet. Anybody have any experience with travel belts and these belt-bourne accessories? I clipped something that weighs about 10 ounces without too much trouble. The stretchiness will eventually make it sag if it’s holding something heavy, but lightweight items are fine. Thank you for the reply. I’ll give it a look! Not sure what the excitement is especially at $28 fora length of elastic and a plastic buckle. Several walking trouser suppliers in UK give you a similar belt for their own trousers, Rohan, Mountain Life and Misty Mountain to name 3 I have. 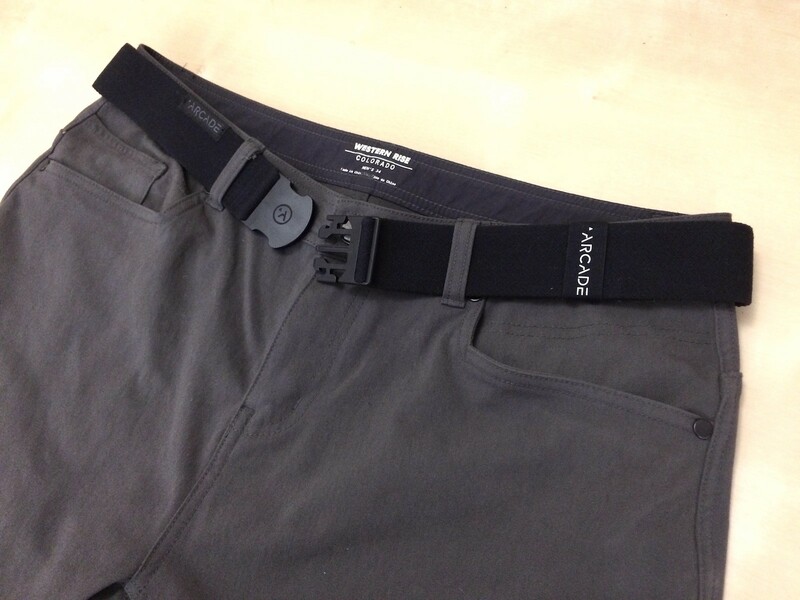 These belts are usually easily adjustable, quick fit tapered clips and no logos. The only difference is that they are not stretch elastic, which is not a desirable feature for me, as the waists on most of my trousers are partially elasticated. I have not had to buy a belt for years, and not starting now. I’ll agree that it’s probably a tiny niche, if at all. I actually bought one of those hiking shorts just for the included webbing belt one time. For some reason the ones included with hiking shorts are better than the separate ones they sell in the same store, which is weird. 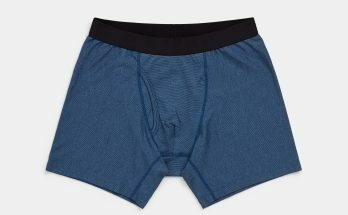 Maybe I’ll write about that particular quirk of the market…but either way, this is a decent option for people who don’t want to buy a whole pair of hiking shorts just for the included belt, plus there’s the stretch factor, which some people enjoy. Easy enough to source nylon webbing and quick-release buckles from ebay. Choice of widths and colours. Choice of buckle design. Cheap. Have made my own belts this way for years, and they work well for me. I tried to do this with elastic shoelaces for a while, but I didn’t quite find a favorite. Glad you’re able to find something that works for you, though. And of course I’m reviewing specific products, but I always hope readers can sort of learn the “why” of whether one product works better than another, then take those tips and find their own favorites that accomplish the same thing. The problem I’ve encountered with these types of buckle closures is that eventually either side of the male part cracks/breaks off rendering it inoperable. I had a problem keeping my pants up where I wanted them to stay until I decided to try the belt made by ‘Trayvax’, the ‘Trayvax Cinch Belt’, no parts to break, best belt I’ve ever used. Heavy-duty MIL-SPEC nylon black webbing. Instant tensioning and hassle-free locking. Buckle bent to contour with shape of body. Someone should use carbon fiber, and then you’d get the advantages of light weight, plus non-metallic materials. Bison Designs uses carbon fiber, but the buckle isn’t the easiest thing in the world to operate. These guys are doing the carbon fibre buckle as well. 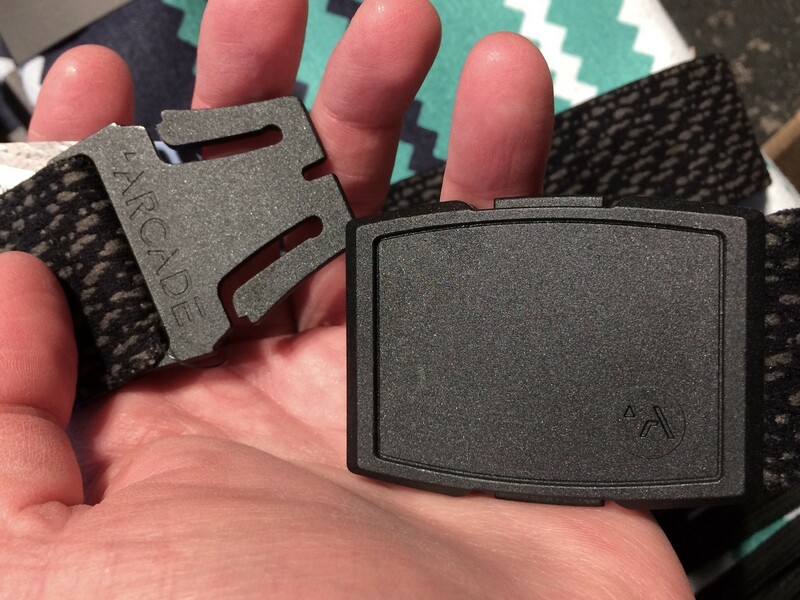 I love the feel of the Arcade belt (and share your quibbles about its logo and the persnickitiness of its buckle); my big complaint is that it starts, very quickly, to pill. And looks as a result super cheap and kind of gross and definitely not something you’d want to wear anywhere outside of a hiking trail. Alas! Little trick: Shaving. Just take a regular razor and you can shave the pills right off. It won’t look perfect, but getting one of those wavy-line designs or herringbone patterns will hide them a little bit too. Thank you for this! I have an hourglass figure, and this means I usually have to wear a belt. This is a men’s belt, but it works very well for me. Since my top always covers my waistband and belt, appearance is secondary to function. After seeing your review, I ordered the Futureweave Vapor in Olive, which fits perfectly in my jeans and cotton pants. I love it. This a a very comfortable upgrade to a bulky leather belt, and the color coordinates with my wardrobe nicely. I removed all the badging from the belt without damaging it. 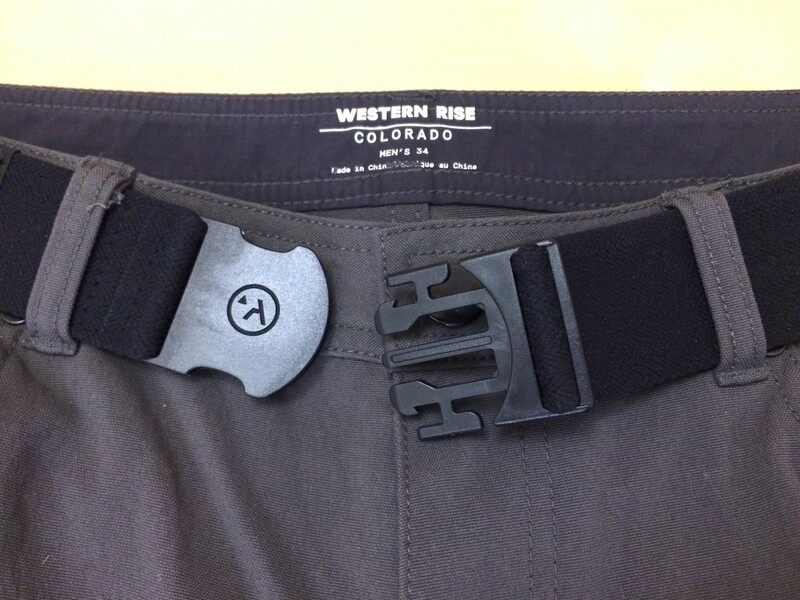 My nylon pants and capris all have smaller belt loops, so I ordered the 11/4” Midnighter Slim belt in black. I can’t remove all the badging from that, but it is very comfortable, hidden by my top, and does a great job of keeping me looking tidy. Good find! Happy to help. It’s a neat little product, probably only the sort of thing certain particular situations would require, but it does that job quite nicely. Any advice for adjusting the new Adventure Belt buckle? I feel like the grip teeth are going to tear holes in the belt before they let out some slack. This belt is too wide, it won’t work on any trousers that I own. Yup, that’s a problem for certain pants. The slim version is helpful for that. cheers! Keep up the great work!